The magic of a CDO, as explained in the research paper "The Economics of Structured Finance" by Joshua Coval, Jakub Jurek, and Erik Stafford, lies in how CDOs can be used to manufacture "safe" bonds (according to credit rating agencies) out of risky ones. Investors as a group were willing to buy CDOs when they would not have been willing to buy all the assets that went into those CDOs. We don't have to decide who is to blame for this situation—structurers, credit rating agencies, or investors. The fact remains that at least some CDOs boosted financial intermediation by tricking investors into making investments they would not otherwise have made–because they destroyed value. Securitization absolved lenders from sensible underwriting, since they knew they were just going on onsell that debt anyway. I'll write a post explaining how these have been beneficial later, but I think the benefits of each of these financial innovations are pretty clear-cut. I'm wondering if the problem with CDOs in the recent crisis was their relative illiquidity. This occurred to me when I was thinking about when I sold my house. It was just before prices took a big plunge in my area. However, I didn't get a lot of offers. This had shocked the realtors I knew. It was pretty clear that houses had been viewed by a number of people as being a liquid asset. I didn't know a lot of people who thought that housing prices could never go down, but I don't think I knew anybody who didn't believe they could quickly sell their house in my area. I believe that, after Lehman, we had a Calling Run, which features a Flight to Safety. The safety is measured by a govt guarantee and liquidity. If you have assets that are illiquid and not guaranteed by the govt in this situation, those assets are going to get harder to sell and take a huge drop in price. That's the panic that I wanted to avoid when I say that the govt should saved Lehman. Things would have been bad, but a much more orderly process would have avoided the Flight to Quality and the threat of Debt-Deflation. Perhaps, and this is a question, many investors believed that their CDOs were liquid. Since they were being created in large numbers, the idea was that they would be relatively easy to sell. At bottom, I find that what we had was a liquidity crisis. So, I don't think that it's the fact that CDOs weren't rated correctly for every possibility, but that they weren't rated correctly for ease of exit. But, as I say, this is just an idea. Cars are killing thousands of people every year, but you don`t see anyone out there saying car innovation is a bad thing. You just here about steering innovation to introduce more safety. In order to do that, knowledgeable people discuss the facts, the data and the possibilities and put rules in place that support the right type of innovation. Somehow in Finance there seems to be a 100% right or wrong discussion on innovation, as you say mainly by people who seem to have very limited knowledge on the subjects discussed. Therefore it is good to see someone like you take the subject on with more insight and a drive to make things better. Wish more people read your blog. And wish you had a little bit more time. Sounds like you make a living from securitization and derivatives. Why don't you go get yourself an honest job? Ok, what were the benefits from those innovations to the real economy? How did they make investment more productive, after fees are removed. So far you've not made a case, at all. Any post that places some blame on the NRSROs is one I like. Financial innovation for regular people allows us to borrow more to bring forward consumption. Seems less beneficial for society. Or maybe I'm missing something. Mostly, I just wanted to let you know that I read your blog and very much appreciate you taking the time to write it. I always enjoy contrarian thinking. It is like science fiction and conspiracy theorizing to me: flights of the imagination which take me on little mind adventures before I return to the real world. e.g., articles like this one. So, it is not the "innovation" but its marketing that is the evil? Why do I restate the thesis thusly? Because the reason for the deterioration in rating standards was that as long as they were properly rated those gigantic piles of stinking dung (er, innovations) could not be sold to the unwary. And it was to the unwary: the pension funds, the suckered customers of hedge funds, figuratively: widows and orphans all, that these were now sold by the bucketful. Nothing happens in a vacuum. All is interrelated. To the point: the rating agencies which you demonize here (and they deserve it as much as anyone) colluded with the creators and purveyors of the renamed swill whether intentionally or otherwise. All were on the same gravy train. The simple fact is that virtually every derivative, whether they tangentially may provide more or less of a service, is nothing but a gambling device whatever self serving rationalizations are offered in their defense. And every gambling device involves a vigorish in order for it to be worthwhile to the producer thereof. Bundles of BBB rated mortgages could have been and were sold at a substantial discount. The CDO was structured in such a way as to rationalize an AAA rating for BBB (or worse) bonds using mysterious "genius" calculations to justify their claimed value. Those and their cognate CDS's (wondrous scams..er, innovations) lie now as shaky underpinnings of a slowly (no longer precipitously) collapsing financial system. In a drought even green shoots wither and die for it seems the C of the CDO was a fiction. The collateral was illusory also. Justifying the flim flam is fun but not really useful. I agree that in principle a CDO senior tranche can be very secure. I definitely agree that the NRSRO's deserve a huge amount of blame. The question in my mind is: if the ratings had been provided honestly, who were the logical buyers of the equity tranche? I'm not saying there aren't any, but it isn't clear to me who the natural buyers of that paper are, and that if you paid people enough to assume those risks, that you would have had enough income left over to make the other tranches attractive, and provide some reasonable margin to the securitizer. If not, this is kind of a useless innovation, since no one would do it if it had to be done honestly. In the world before securitization, try to imagine what would have happened had the President of the United States conspired with his housing and finance buddies to get 5.5 to 8 million houses built in 6 years for the minority Republicans of the future? His first charge, make it really easy for them to qualify for a mortgage. To assure a 100-year Neocon reign, would the banking industry finance the homes? I think so. The risk associated with a bundled set of assets depends on the correlation of the default risks, etc., among the assets in the bundle. Would it be a fair criticism to say that the models which produced the correlation coefficients among assets assumed that the past would be a very good guide to the future? The rub being that we've never experienced a nationwide collapse in housing prices that was not associated with a nationwide depression. I do not think the end justifies the means. In the end, whether ratings agencies are to blame or not, the system collapses and the bailouts commense, the deficit soars and we need to bail out the bail out to pay the interest on the debt until we Zimbabwe along to the North American Union of default. But it's nice that 1% of the population hedged the collapse - now they can buy a $1,500 hamburger while everyone else starves. "It was the rating agencies that absolved the lenders from sensible underwriting by slapping AAA ratings on securitizations with laughably bad mortgages underlying them." I think a lot of people have a problem with the idea that just because you could get a conflicted stake-holder to misassign a rating doesn't necessarily absolve anyone from a responsibility for fair dealing. And even if that is technically true, the public wants to change that dynamic. But your criticisms that the ratings agencies and the customers themselves have blame is well-placed. In fact, why the government wont allow the customers to simply suffer their losses is beyond me. Losing capital that was incorrectly put at risk would be the best long-term market adjustment mechanism that can be employed. To torture our markets into unnatural positions to help the culpable avoid those losses is absurd. I think Kwak and Johnson understand how CDO's work very well. You link a summary of their work that has been distilled for popular consumption. If you followed their blog, you'd understand that they have well considered reasons for their claims. I'll attempt to explain below. 1. CDOs only significantly decrease risk if the underlying bad investments have low correlation. This correlation was estimated using historical extrapolations with relatively recent data. In retrospect it is obvious that these techniques underestimated long-tail risk of correlation that can occur in financial crisis. #2 Due diligence on CDOs requires estimating the joint risk of all the investments in the CDO. This is largely equivalent to doing the underwriting on the investments a second time. As the late crisis demonstrated, it can be very difficult to figure out what investments are constituents of a CDO. For example, the Fed couldn't identify the original mortgages in CDOs when it was trying to refinance them. Often details of the financial instrument would be provided by a piece of proprietary software from the CDO originator, which is completely opaque. #3 As noted in #1 the CDOs failed because of underestimated long-tail risk. Clearly, market signals are only apparent once the CDO begins to fail. Because the failures were correlated, there was no gradual weeding out of bad originators by the market. All the bad originators showed up at once, essentially weeding out the entire market at one time, rather than a few originators at each time. #4 A rating organization can face a large cost in doing the same underwriting that the originator was supposed to do AND the originator pays the rating organization to rate their investment. These incentives are broken. It provides the rating organization with an incentive to give a good rating and a disincentive to dig too deeply. #5 The math required to estimate the risk of a CDO is pretty complex, making it difficult for non-quants to estimate risk and very unlikely that the managers will understand the details. Beyond this, everyone was using the same model so they all got the same result. (I suppose this is a second order risk correlation). #6 Since originators don't actually hold the asset, but instead make their money off of transaction fees, they have an incentive to emphasize quantity over quality, and to minimize the significance of long-tail risk. Concluding. All of these factors contribute to increasing the risk of CDOs and other "innovative" tools. People talk about innovation as if it is intrinsically good, but this shouldn't be the case in an industry that is in the business of minimizing risk. By definition, new tools have short track records. We can't know if they have skewed incentives, opaque structure, flawed models, hidden correlations, or economic rents. Yes ratings organizations contributed, but to put the fault only at their feet tells a nice narrative, but it underestimates the complexity and breadth of the market. Ratings organizations are just like any other market member; all of which were fooled by seductive claims to innovation. Two other arguments from Kwak and Johnson. #1 An efficient market, a la the efficient market hypothesis, is a zero profit market. The fact that widespread financial innovation increases profit, rather than decreases it, indicates that financial innovations aren't increasing social benefit. #2 Financial products can serve as a way of differentiating your product from your competitors; effectively branding your product. This results in greater profits at the expense of a smaller consumer surplus. Note that #2 may explain the paradox of #1. Banks aren't increasing the efficiency of investment allocation, they are branding by creating products that trade short term risk for long tail risk. Thanks for this post. Very much looking forward to the next one. The "securitization market of 2004-2006" started getting seriously bumpy in 2005 November - at which time people started to notice that the official ratings were not merely a little optimistic, but were totally out of line. So tell me, why did the rating agencies keep rating everything as AAA, when everyone knew or strongly suspected what worthless crap many of these mortgages were? I agree with you that financial innovation in and of itself is not "bad." That's like saying the X vaccine got pulled because it created serious illness in children who received - we must pull all the YZ vaccines too! You cannot trash all innovation because some innovation is flawed. And I agree wholeheartedly that ratings agencies were negligent in in ways that proved exceptionally damaging to the economy. But a pretty large number of "laughably bad" mortgages had to be handed out before they could be given triple A ratings by the ratings agencies - which means there was a lot of junk peddling going on prior to the realization that that junk was being given a great rating. That kind of systemic corruption is not just the result of the failure of the ratings agencies. Exacerbated by those failures, yes, most definitely, but not the result of them. Why do you think the ratings agencies failed so catastrophically? And what do you think can be done to prevent such a failure in the future? "So tell me, why did the rating agencies keep rating everything as AAA, when everyone knew or strongly suspected what worthless crap many of these mortgages were? ..."
Perhaps this is a secret, but corporations are full of political hacks - operatives. Most of them are Republicans. The President of the United States ordered that 5.5 million homes be built and sold to minority families by the end of his Presidential term. He ordered that it be easy for them to get financing to buy those homes. And he got'er done - mission accomplished with just a few rules bent. When people realized how much fee money they could make with liar loans, another 5 million houses glommed onto the bandwagon. They wanted an ownership society because they believed minorities would switch to the Republican party once they owned their own homes. Prior to becoming the President, Bush and Rove obsessed about this issue as Texas is one of the states where minority voters will soon be the majority, and that threatened the 100-year reign of the Neocons. These folks wrote books bout this. The printed their plan. I agree with the tenor of your post. However, I don't agree that any tranche of "a CDO with a $100 face value, backed by a pool of BBB-rated mortgage-backed securities" can be deemed "safe" (i.e., truly AAA), especially when the mortgages backing the RMBS are subprime, since the entire underlying BBB pool can conceivably be wiped out. In this case, no level of subordination or overcollateralization will save you. 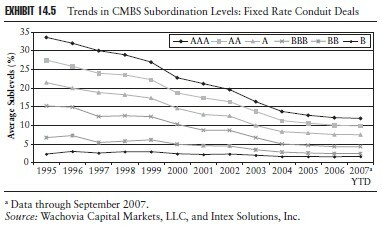 I would thus contrast RMBS with CDOs. I believe it is quite legitimate to say that a tranche of RMBS backed by subprime mortgages (i.e., crap) can nonetheless be structured to be safe (truly AAA), since it is nearly inconceivable that the entire pool of underlying mortgages will go to zero. This strikes me as a case of "where theory meets practice." It is possible to engineer a CDO that is a good idea. How would we know ahead of time if we got it right though? Perhaps the overcolatoralization is too thin or the credit enhancements attached are not properly represented (think AIG). If I have a new operating system, and it is still in beta, and it sometimes crashes and destroys all your data, you might be a little bit harsh to say "let's ban this." But if that operating system was deployed nation-wide and then proceeded to crash and everyone lost their data, you'd expect some strong questions about what went wrong. With small tech gadgets it's fun to be on the bleeding edge, because the stakes are low. As the current crisis shows, the financial system is nothing like that. The problem is purely in the incentives and signal quality of the rating agency. If they can't be held liable for the quality of their ratings, there's really no risk to them in having risk in your measure of risk. Also, I enjoy playing world conquest board games with little plastic armies with dice and cards. 1) EMH most certainly doesn't say that there are zero profits. Stick your money in a T-bills and you make a profit. Stick your money in an index fund. Furthermore, there is a consequence of the random walk that an excess of the money will go to a few - purely by luck. 2)The correlation risk is not from correlations of the underlying but rather because they are in a CDO. Kwak and Johnson get cause and effect round the wrong way. When a company owns a CDO and has to sell he marks down all the other similar CDOs causing them to be worth less. The actual economic decline in the CDOs is irrelevent especially when company are getting literally killed in the press for holding "toxic assets". 3) this leads into your follow up comment. The CDOs don't "fail", what they do is get marked down dramatically as everyone rushes for liquidity. CDO down in **price**, T-bills up. The underlying defaults, correlations etc are irrelevent, price is set by panic sellers not the payouts. 4) In ratings it is not the originator that pays it is the guy who packages up the underlying assets who pays for the tranches of the CDO to be rated and during the boom, there was such a high demand for raw material for CDOs that originators simply could not write enough mortgages quickly enough - hence the synthetic CDOs. It was a demand driven expansion not that the originators had excess capacity to securitise, not even that they had enough people wanting to borrow. 4) The "they are so complex to value" is nonsense. No one thinks of equities as "to complex to value" yet a Citibank stock is clearly vastly more complex than any CDO - and i would argue impossible to value - but the point is that there is less liquidity risk with an equity than a custom CDO. I can slice off a holding of equities to far more people than i can a CDO. Needless to say given the assumptions are so faulty that their conclusions would be so far off. Companies Diablo 3 Goldcommit big money about it with regard to efficiency, and IT businesses create a bundle of money consequently * are some of the pieces of financing which will make money coming from doing business derivatives as GW2 Gold kaufenwell as whatsoever, related for it firms? aion kinah of all the wonderful gifts that we've been given, one of the greatest is freedom aion kinah, I will spare no efforts in doing things aion gold. Three passions, simple but overwhelmingly rs powerlevel strong, have governed my life: the longing for love, the search for rs gold knowledge, These passions, like great winds, have blown me hither and thither, in a wayward course, over a deep Runescape money ocean of anguish, reaching to the very verge of despair. Everything in this world has Sell RS Gold a nature of its own. Some are Sell Runescape Gold charming, some are seducing, like the candy, chocolate, the cakes, and some burn everything like Sell RS Gold fire, as soon as you get near. Totally cool and fantastic photo manipulation art work.